The new sanctions on Iran have already begun. Since Donald Trump declared exiting the Joint Comprehensive Plan of Action(JCPOA) in May, the atmosphere of conflict has already risen. The new sanction majorly focuses on the oil industries. There are eight countries that are in a temporary exemption of the ban on importing Iranian oil in order to not cause shocking effects in the market. With less compromise, more pressure has been added to Iran and the tension at the gulf rises. On November 5, the Iranian Army launched an air defence exercise, showing its attitude towards the United States. Earlier in July, Islamic Revolutionary Guard Corps announced that they will block the Strait of Hormuz, which would influence 20% of the total export of petroleum. This is not the first time they say so. For each time when there are sanctions and aggressive words from the U.S. or Israel, Iran will react even more aggressively by launching missiles, having anti-aircraft carrier exercises, and even menaces to restart their nuclear plan. Comparing with the former president Mahmoud Ahmadinejad, president Hassan Rouhani is moderate, the tough response has already shown his unsatisfactory. One of the reasons why the nuclear problem has taken decades but is still not being solved is the fickle attitude of the United States government. Different presidents have different attitudes toward this problem. Their attitude serves for their political goals. President Donald Trump, for example, announced the sanctions right before November 6, the date of the voting of Midterm Election. By doing this, there would be more votes for the GOP. Meanwhile, it is a way to draw the attention of the public away from domestic issues. Covering the scandals with more “overwhelming” issues is always a convenient way. If the most essential part of the issue is not solved, things will never change. The reason why Iran holds nuclear technology was the support of the U.S., The Pahlavi dynasty ruled Iran at that time and it was an ally of the U.S. With nuclear technology, Iran could be a base to pinning down other Arab countries in the Middle East, achieving the goal of protecting Israel. However, after the Iranian Revolution in 1979, the situation changed to completely, and nuclear technology has become a big trouble since then and it has been a serious problem in the 21st century. The United Nations had asked Iran to stop its nuclear plans but that did not work as expected. In 2016, with the agreement achieved both sides, President Barack Obama signed the administrative order to pause the sanctions since Iran have successfully fulfilled the requirement. And President Donald Trump has almost pushed all of these back to the beginning. One of the facts that are reflected is the fragile union of the U.S. and its European allies. The Republican candidates usually hold unilateralist ideas. In other words, what they care most is the priority of America. From trade to foreign affairs, more divergences have appeared and the harmony in the surface can no longer cover the conflict. It is not only about the present interest but also related to history and culture. Unlike what the U.S. did after WWII, which was maintaining the world order, the U.S. nowadays is more like a rule-breaker. It is nothing like what it tried to be, and the reason is the rising of nationalism and potentially chauvinism. If this trend continues, the trust of the U.S. will no longer exist, and for sure it will intensify the conflict between countries. In that case, America is to be blamed for its irresponsibility and negative attitude. Would it be the same trick used on North Korea? It is still uncertain. Since there is less heat in the Korean peninsula, the U.S. can concentrate more on the conflict with Iran. The pressure that Iran will suffer is going to be tougher than before. One of the methods they would adopt is to block the Strait of Hormuz with underwater mine and missile gunboats, which is a low-cost but effective way to threatening the hostile countries. The global order has changed way too much during the last two years, and the U.S. is responsible for most of the instability around the world. It has been too long that there is no such a strong opponent as the Soviet Union for the U.S. to compete, and it is actually searching for a new one. The outline of the new cold war system will soon be clearly seen, the only uncertainty is where the iron curtain is going to fall on. Ernst, Jonathan. “President Donald Trump Displays a Presidential Memorandum after Announcing His Intent to Withdraw from the JCPOA Iran Nuclear Agreement in the Diplomatic Room at the White House in Washington.” Https://Www.cnbc.com/2018/05/13/Iran-Sanctions-Will-Aggravate-Discord-on-Eu-Reforms–Commentary.html, Reuters, 13 May 2018. Mehr News Agency. 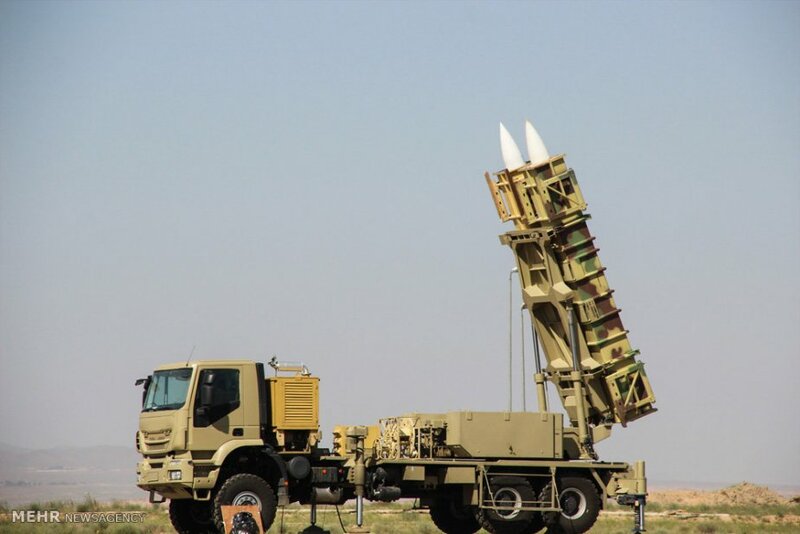 “ The Air Defence System Deployed to Western Regions of the Country Is the Talash 3, a Long-Range Air Defence Missile System Capable to Destroy Aerial Targets Flying at Low, Medium and High Altitudes at a Maximum Range 200 Km.” Https://Www.armyrecognition.com/september_2017_global_defense_security_news_industry/iranian_army_deploys_new_talash_3_air_defence_system_to_western_iran.Html, 28 Sept. 2017. Getty Images. 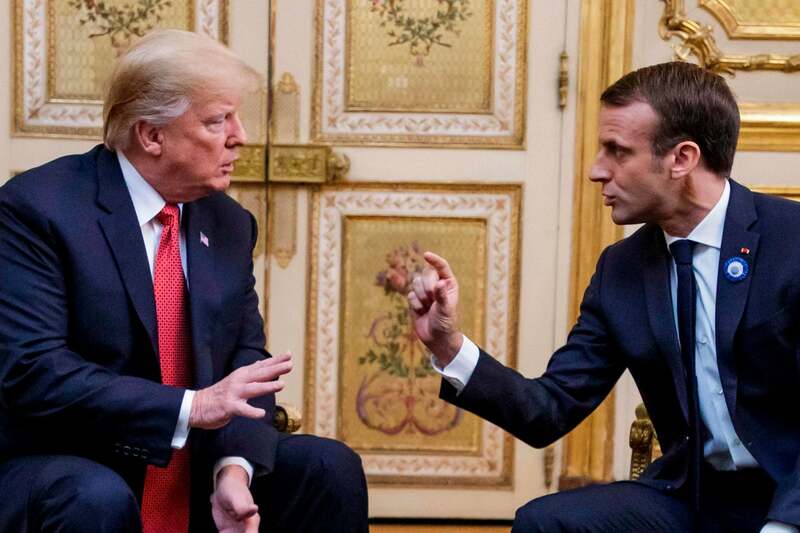 “Donald Trump Speaks with Emmanuel Macron Prior to Their Meeting at the Elysee Palace in Paris over the Weekend.” Https://Www.standard.co.uk/News/World/Make-France-Great-Again-Donald-Trump-Takes-Aim-at-Macron-as-He-Makes-More-Excuses-for-Missing-World-a3988966.Html, 14 Nov. 2018.